Situated in the heart of the village of Hilgay in Norfolk, Hilgay Village Hall is a good sized venue hosting events for all ages in the local area. 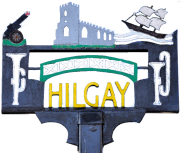 Hilgay is 4 miles from the town of Downham Market and falls within the district of King's Lynn and West Norfolk. For further information on hall facilities, booking and events please click the relevant links on the menu. If you would like to receive a monthly newsletter detailing upcoming events, please subscribe below. Copyright © 2019, Hilgay Village Hall. Proudly powered by WordPress. Blackoot design by Iceable Themes.